Calls placed to 911 are not processed using census data. 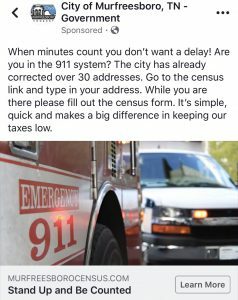 In fact, more than 80% of 911 calls are placed from cellular phones and have no relationship to your census address records. Do not be alarmed that your census records will delay an emergency response to any 911 call placed.